Did you know 60% of small businesses end up folding within 6 months of suffering from a major cyber attack? Despite this huge threat, many companies are complacent about cybersecurity, with little education provided to their employees about it too. In fact, they have very little knowledge about computers, let alone cybersecurity. A professional web design is the most important aspect of your organization’s online presence. Your website is your 24-hour brand representative. The better it looks, and the easier it is to use, the more your organization will realize in return-on-investment. A professionally designed website can help your organization grow. 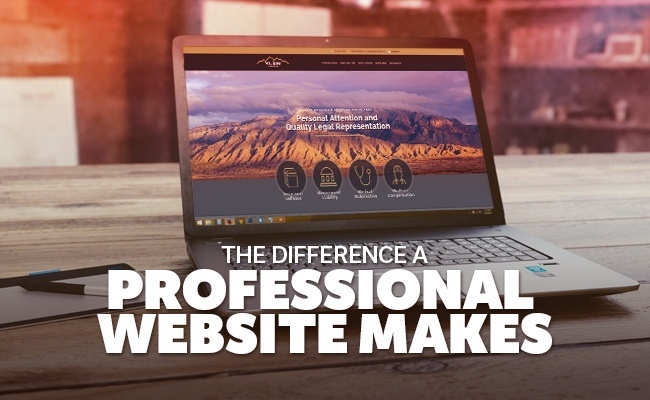 Read this blog to learn The Difference a Professional Web Design Makes. 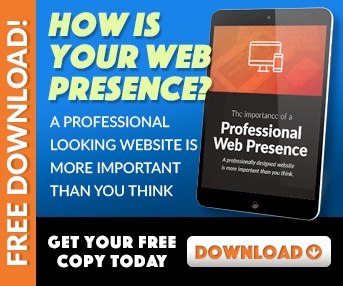 Your website appearance defines how potential patrons will evaluate your organization and whether they will put their trust in your establishment. A website is the equivalent of a brick and mortar facade. As a proprietor, you will never have a chance to make a second impression. A professionally designed website builds immediate rapport with viewers. This is the dominant factor that will decide whether an Internet user will patronize your organization. When a potential client initially views your website, they form their opinion of it in one-tenth of a second. Regardless of how pertinent your content is, if it is not presented well, viewers will not consider it as relevant as professionally designed websites. Website clarity, and how easy it is to digest the content it contains, also determines how browsers feel about your website. A professional website designer can structure a large amount of information so it does not overwhelm viewers, causing them to navigate away from your web page. Furthermore, Internet users browse online content on varying devices. A professionally designed website responds to different devices and presents your content pleasingly. These initial impressions can inspire your website viewers as well as encourage them to engage with your content and receive your marketing message. Professional web designers have tools that allow them to see exactly what web site viewers look at when they see your web page. This information, combined with a record of their browsing actions, allows designers to determine what aspects of your website work and what parts do not. It is small refinements such as these that increase website engagement and fixes problems your web visitors do not notice consciously but which discourages them from remaining on your web page. It is also important to make sure your website is simple to use. Through A/B testing – a method of evaluating multiple versions of a website – designers can find out what works and even glean ideas from your target users. A designer can also help you align the layout of your website to make it easy for viewers to take the actions you desire, such as making a purchase or signing up for your newsletter. Small website adjustments such as these can help spur your organization’s growth. A professional web design can help you fully leverage your web presence. Building a website -- which garners a tangible response -- is a full time job, especially during its launch. Full-time web designers can have a website set up and running in far less time than it takes a casual designer. Because they work in the web design field every day, their skill set is beyond that of someone spends the majority of their time doing something else. A professional web design can save you money over time by eventually becoming a profit center and increasing your organization’s productivity. A website is the focal point of your online presence. It is more than a static billboard; it is a relentless ambassador for your brand. By hiring a professional website designer to create an engaging web presence for your organization, you can drive business through this channel more effectively. A professionally designed website has the potential to unlock a new marketing channel using Internet connectivity. Hello! I am the Web Services Manager @ EnvisionIT Solutions. I create business websites, help shape a businesses image through branding, and help them grow through content marketing. I am an avid photographer and a lover of musical instruments. Don’t trust your company’s critical data and operations to just anyone! 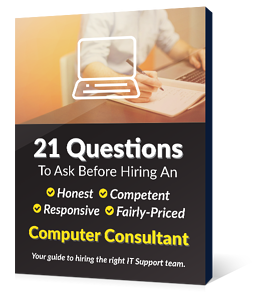 This business advisory guide will arm you with 21 Revealing Questions you should ask any computer consultant before giving them access to your network.